I preferred reading the American landscape as we went along. Every bump, rise, and stretch in it mystified my longing. 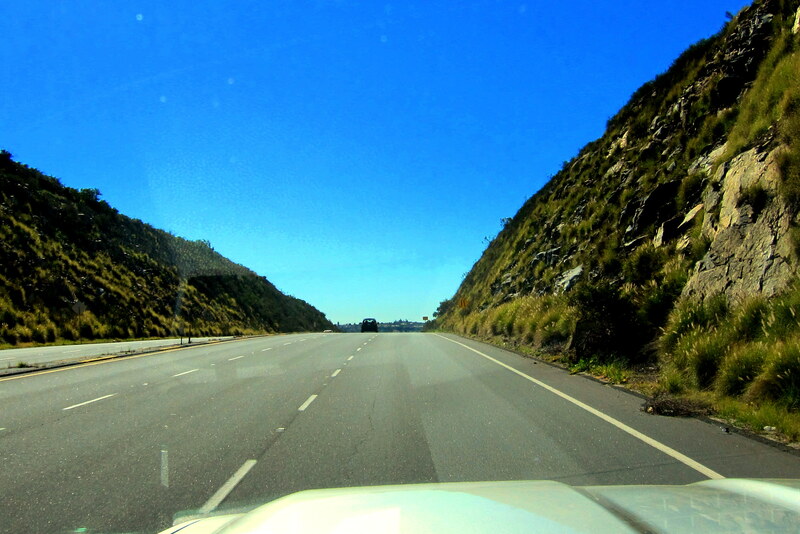 Tuesday, February 2, 2016: On the road by mid-morning heading to the west. 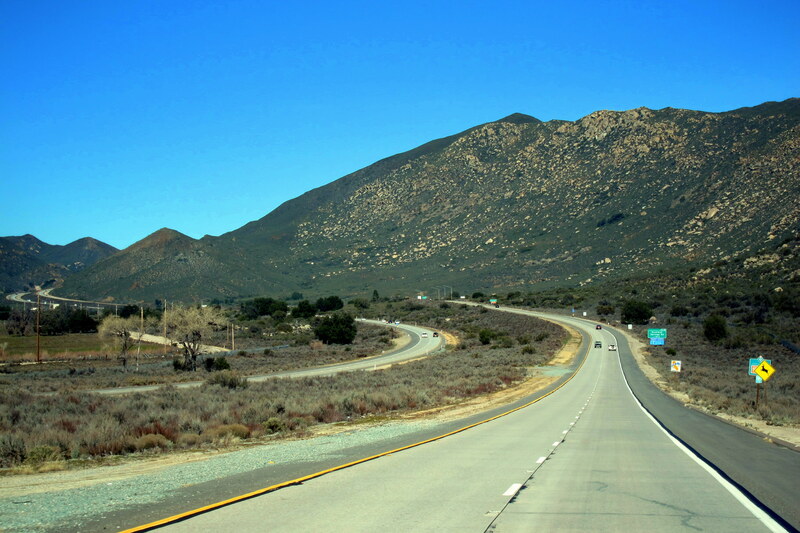 The skies are sunny with temperatures in the upper 60’s as we roll along Interstate 8 toward the coastal mountains of San Diego County. 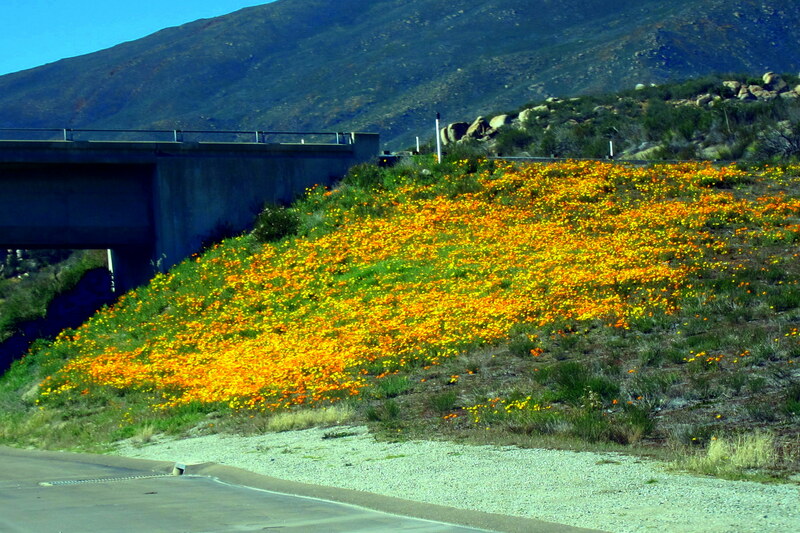 Along the way we noticed that the recent rains in this part of the country have allowed the wildflowers to bloom and carpet the hillsides. I find it interesting that these perennial weeds can lay dormant for years until the right combination of temperature and moisture causes them to awaken in brilliant color! By noon, Kit and I were at 4,410 foot altitude as we tipped over the Tecate Divide and started down into the coastal plains. 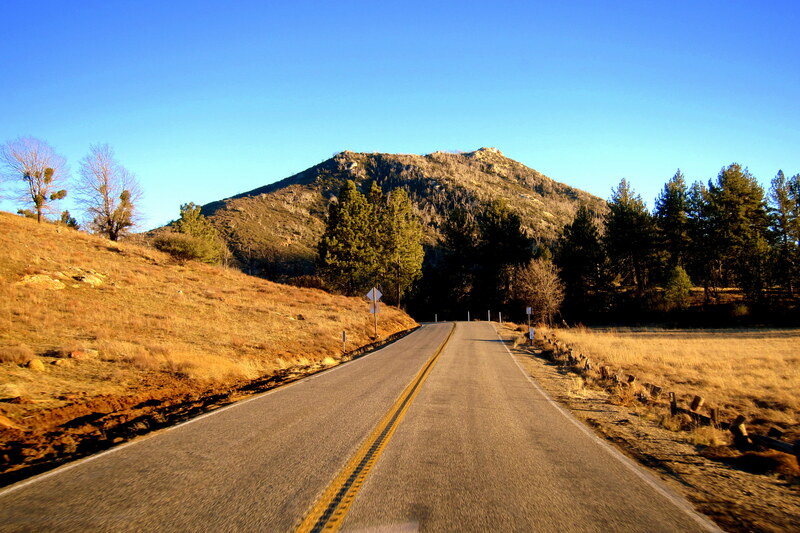 Nearing the town of Lakeside, we pulled off the interstate and wound our way through the foothills of the Cuyamaca Mountains. 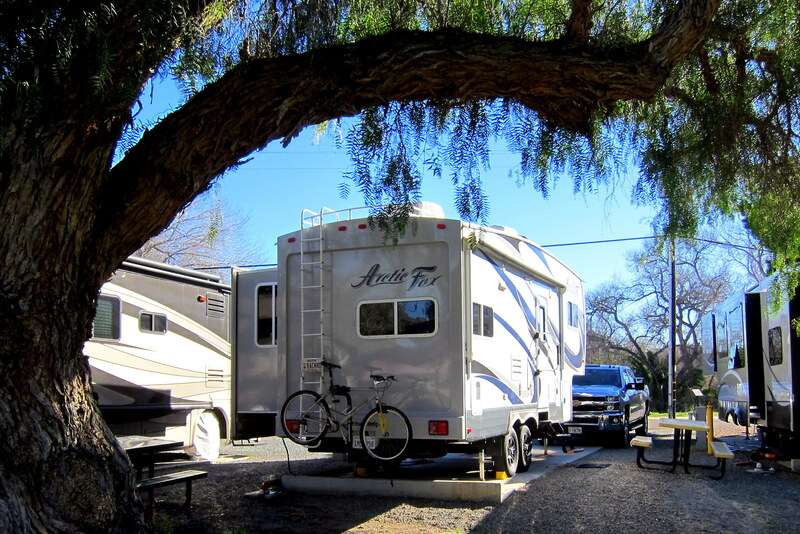 By mid-afternoon, Kit and I pulled into our home for the next few days, Santee Lakes Recreation Preserve, in the city of Santee, California. After setting up camp, we sat around in the warm sunshine and enjoyed a cocktail and nice meal before retiring for the evening. 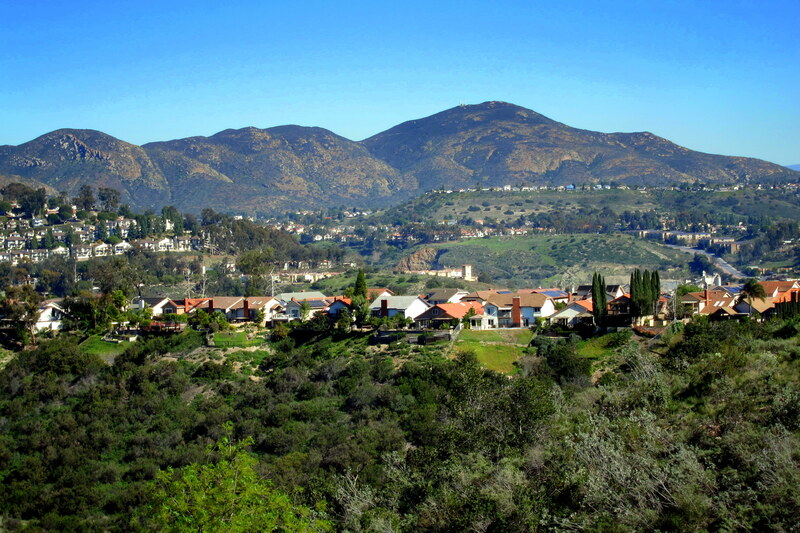 Wednesday, February 3 through Monday, February 8, 2016-Santee, California: As you may remember form earlier postings, both Kit and I call the San Diego area our childhood hometown. As such, we are fortunate to have many family members as well as old friends that reside in the area and visiting with them each year is a highlight of our travels. One such couple are these fine folks! 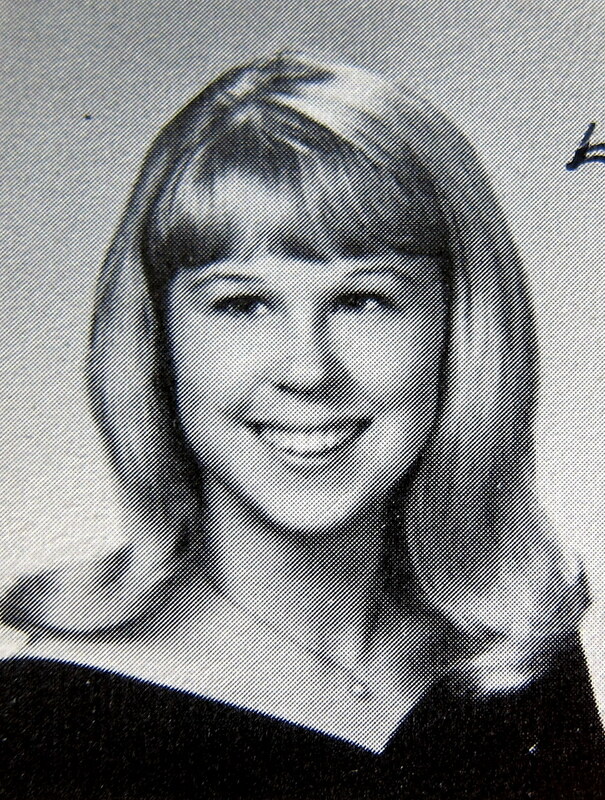 JoAnne and Ron…..some fifty years ago, JoAnne was one of Kit’s best friends. They met in Junior High School and the two of them wound up getting tangled up with my best friend Rodney and me…..much to their detriment and standing in the community! We reconnected with JoAnne only a year ago, and spent a lot of time getting reacquainted with her, and meeting her very pleasant husband, Ron. So this time through town we picked up where we left off last year and spent many hours at their home or meeting for a meal at one of the areas outstanding restaurants. 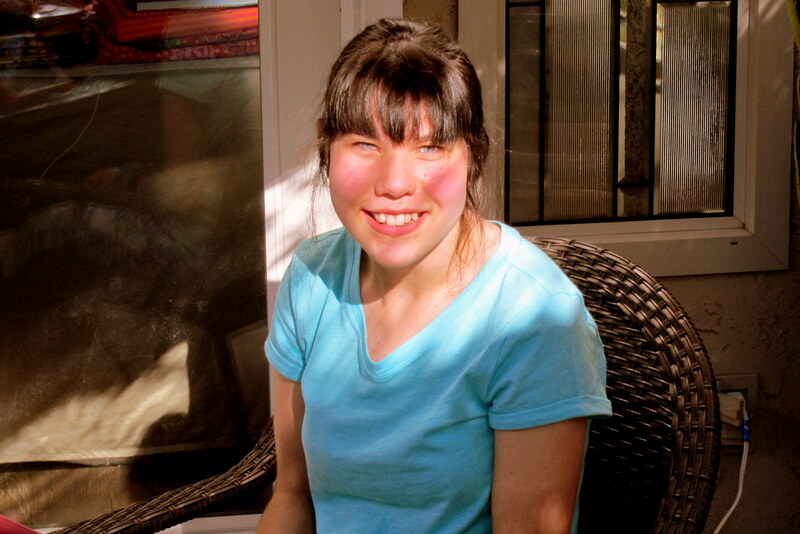 JoAnne has been dealing with some pretty serious health issues which have resulted in the loss of some extremities. Above you see her utilizing a highly sophisticated “Bionic Hand” and demonstrating how it functions…..she can even flip someone off with the thing! JoAnne is a remarkable woman and her courage in the face of adversity is an inspiration. 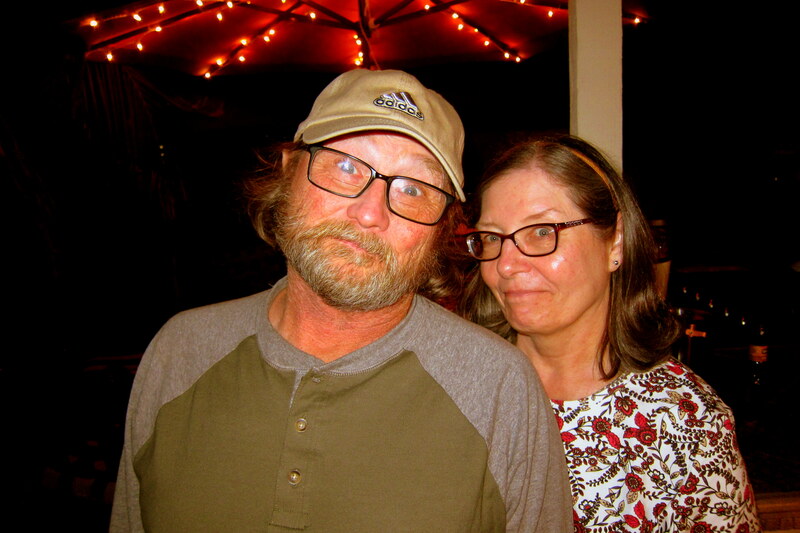 Ron, a rather “rough around the edges” retired long-haul truck driver is as gentle and caring as can be with JoAnne and lovingly accepts their new reality…..they are a remarkable couple!! Other than enjoying the company of Ron and JoAnne, we took the opportunity to take care of some cleaning and maintenance on truck and trailer. 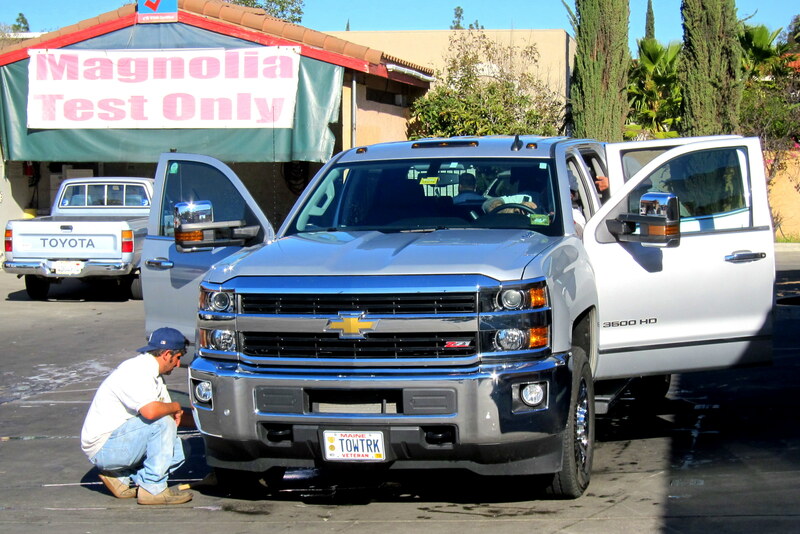 I’m continually surprised and pleased at how easy, and inexpensive, it is to get your vehicle cleaned inside and out here in the southwest. After a through scrubbing, the “Wipers” who work for tips, do an excellent job drying the vehicle, polishing the chrome, and dressing the tires. Kit has a lot of family that reside in the San Diego area. One afternoon her sister Char, and husband Don, paid a short visit to our campsite where we enjoyed their company and great conversation. Char and Don are in the market for an RV so there was a lot of “trailer talk” banter as we discussed the merits and enjoyment of the RV lifestyle. On another nice sunny day, Kit and I decided to tour the mountainous backcountry of San Diego County. 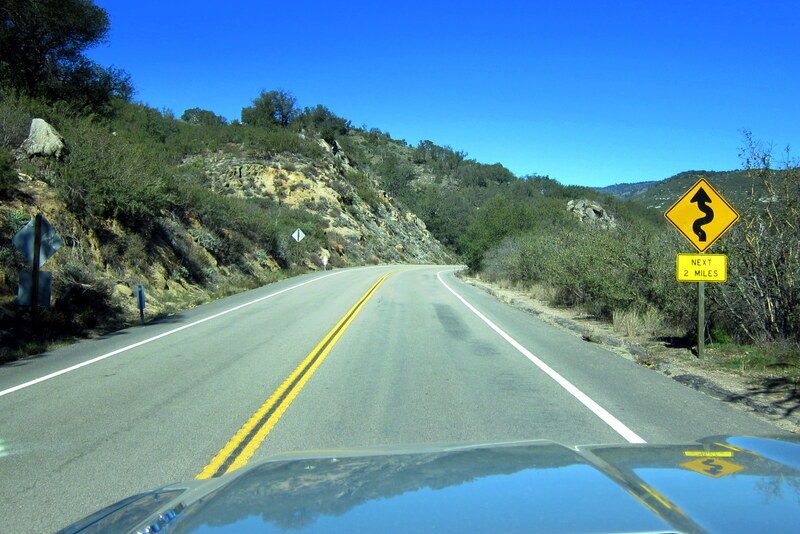 So we headed up CA-67 toward the town of Ramona. Reaching town, we decided to take a break when Kit spotted a Goodwill Store in a nice shopping area with a number of high end homes about…..a sure sign of quality goods! We have enjoyed poking around re-sale establishments during our annual trips about the U.S. Not only do you occasionally find quality and gently used items but each store can be a reflection of the lives of past inhabitants….a modern archeological dig if you will. Both Kit and I scored some needed items and I came away with three coveted Regret Shirts! Regret Shirt [ri’gret shirt](transitive adjective): an item of apparel purchased by western macho men while vacationing in Hawaii and regretted once they returned to their cowboy lifestyle thereby resulting in the donation of said item to a worthwhile charity where an unabashed pensioner can acquire the offending garment. 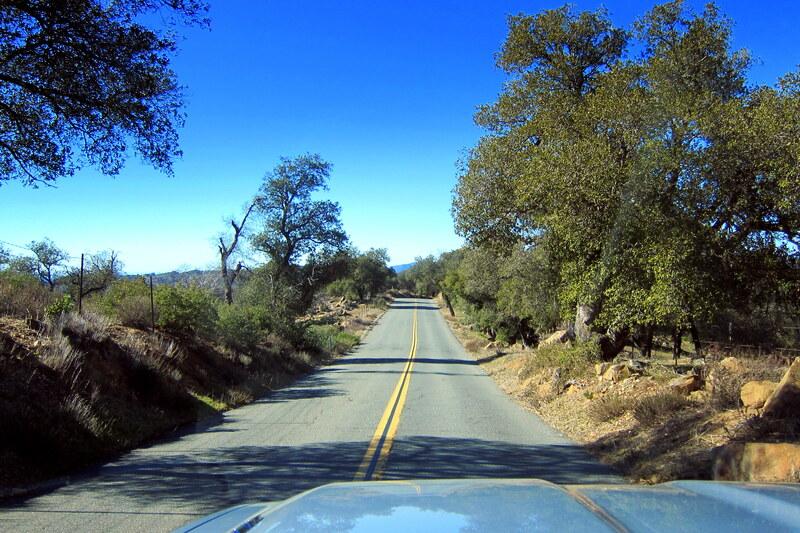 Back underway, we veered off on CA-78 and headed southeast toward the mountain town of Julian. 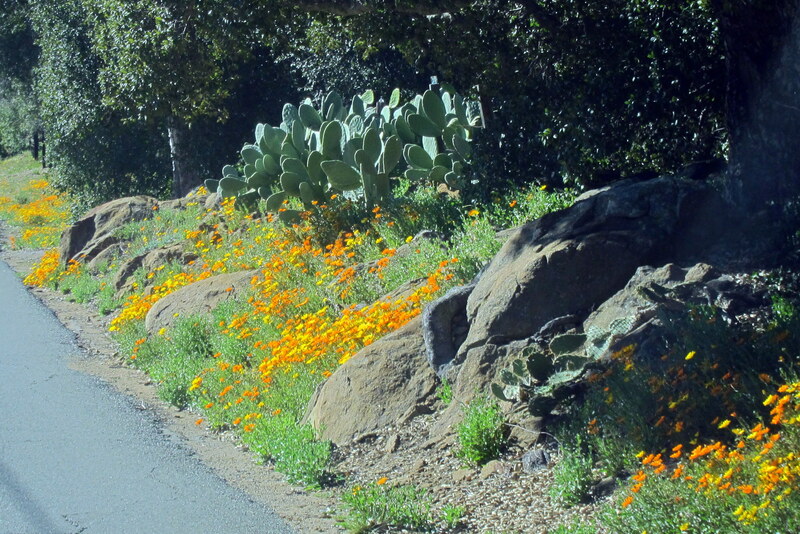 While climbing into the Cuyamaca Mountains, the low elevation vegetation began to mingle with the wildflowers and scrub Oak of the Chaparral Zone. At the summit, Kit and I enjoyed a pleasant ride through this coastal alpine region with very little traffic to contend with. We could plod along at our own pace and stop frequently for some walking about time. 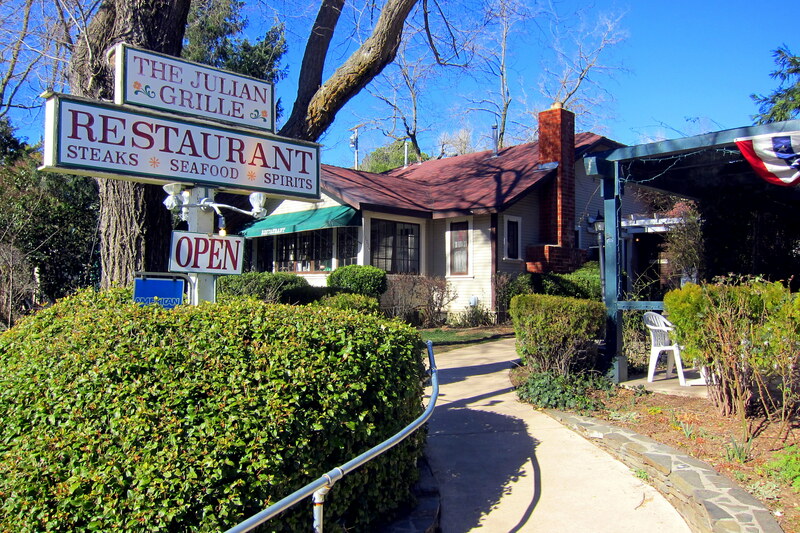 Our next destination was the town of Julian, a small enclave with a western vibe that’s claim to fame is as the home of the world famous Julian Pie Company. 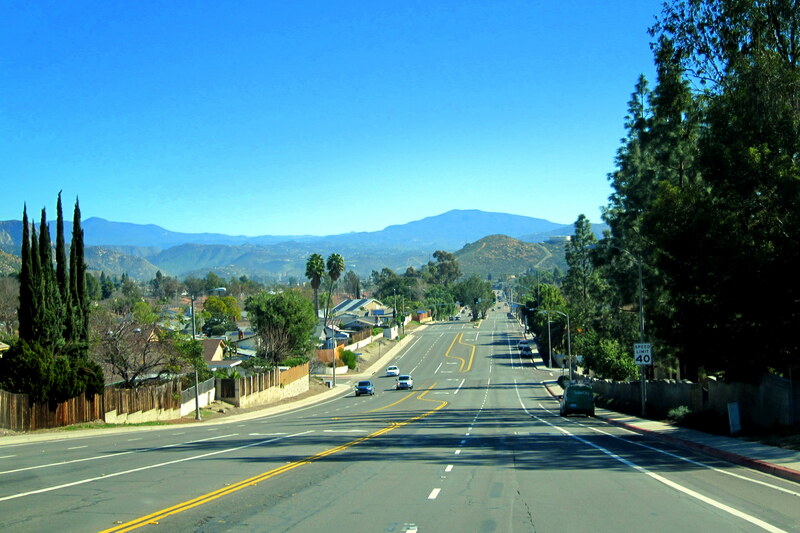 The town of Julian, sitting at 4,226 feet, enjoys perfect soil and weather to grow apples. As a result, the 1,500 year round residents see their little mountain town explode to 10,000 folks during the Julian Apple Festival in the fall. As a former mining town during the California Gold Rush, an apple loving prospector brought some young trees up the mountain to ensure a plentiful supply during his stay. The apple trees flourished in the cool fresh air so when the gold claim played out, Julian became an area devoted to apple production. 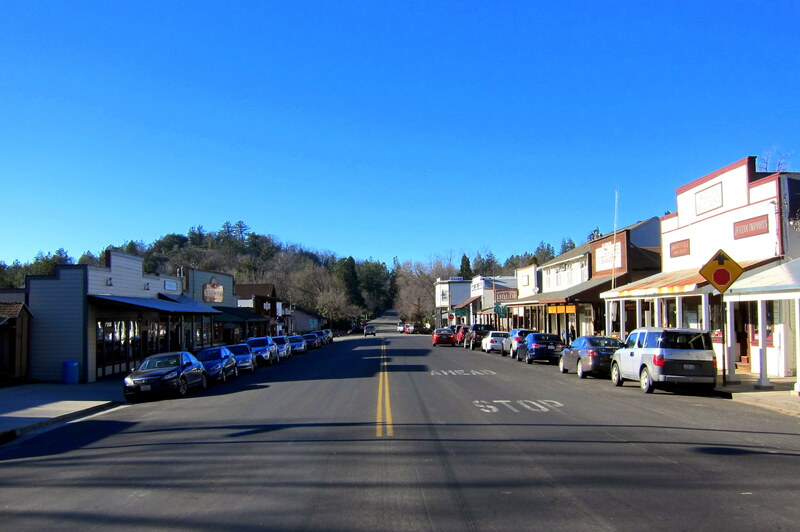 Today, both sides of the main street are lined with restaurants and pie shops interspersed with gift shops. Since it was after noon, and we hadn’t had lunch yet, Kit and I stopped into the Julian Grille, which is strategically placed across the street from the Julian Pie Companies retail shop. I enjoyed a local brew and one of the best Ruben sandwiches I’ve had in a long time! 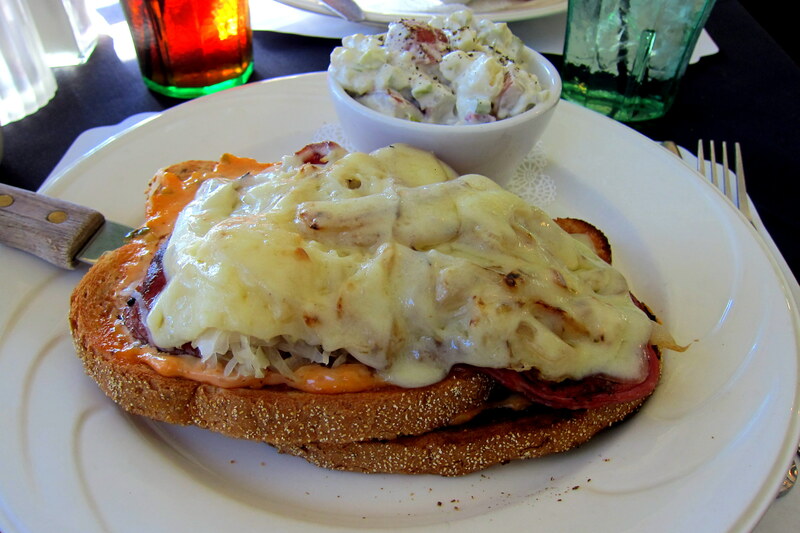 Featuring fresh corned beef and sauerkraut on homemade bread, and the tangy Russian dressing was made in house as well….that sandwich was incredible! 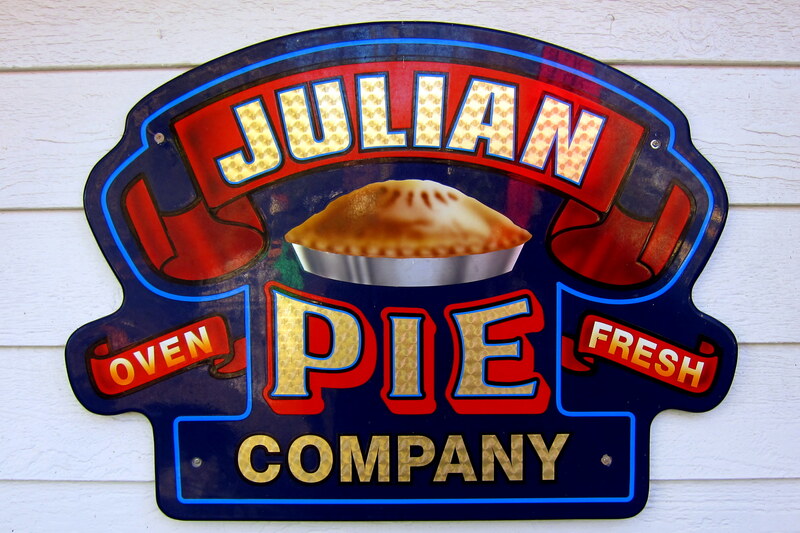 Skipping desert, as most folks that dine here do, we strolled across the street to capture our very own authentic Julian Pie Company treat……apple blueberry! 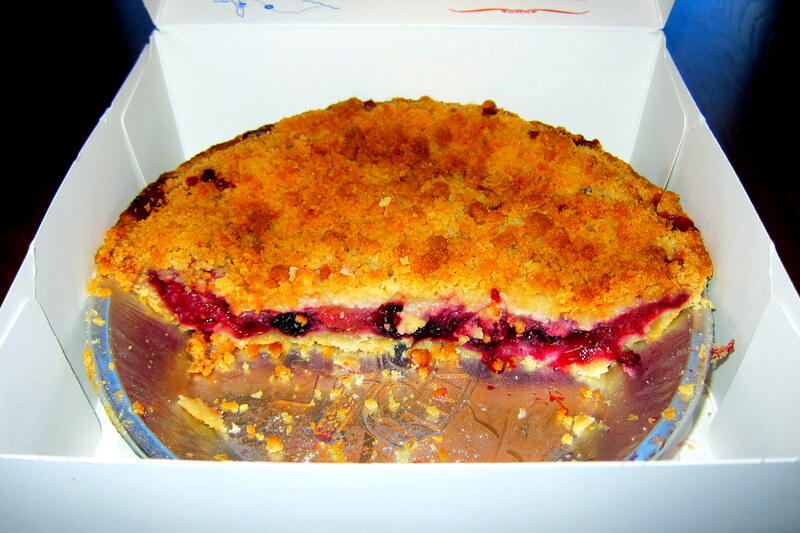 I’m tempted to try and convince you that they only sell half pies…..but, we all know what happened to the other half! After another walk up and down the main street of Julian, Kit and I waddled back to the truck and continued our journey. Traveling south on CA-79 we traveled through the Cleveland National Forest toward Cuyamaca Rancho State Park. Taking a break at Lake Cuyamaca, we walked along the shoreline…..this once much larger fishing lake has been decimated by the recent drought. 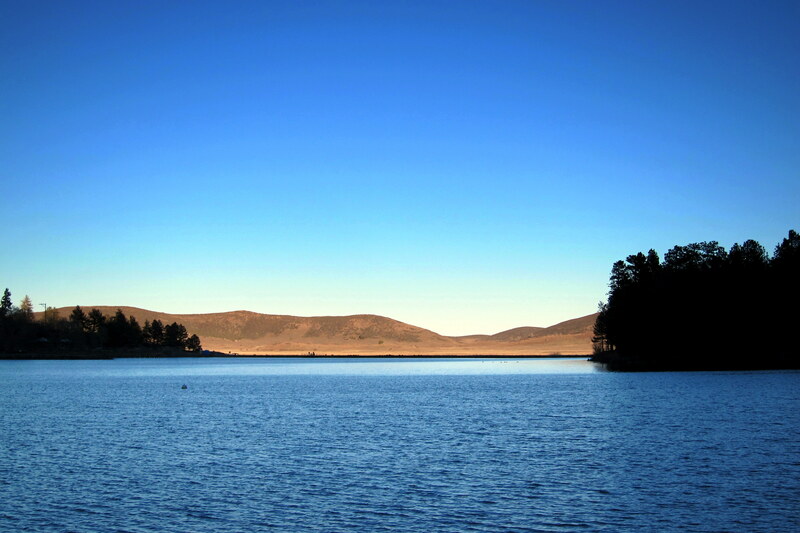 Lake Cuyamaca used to be our camping opportunity of choice when we lived in the area back in the early 1970’s. 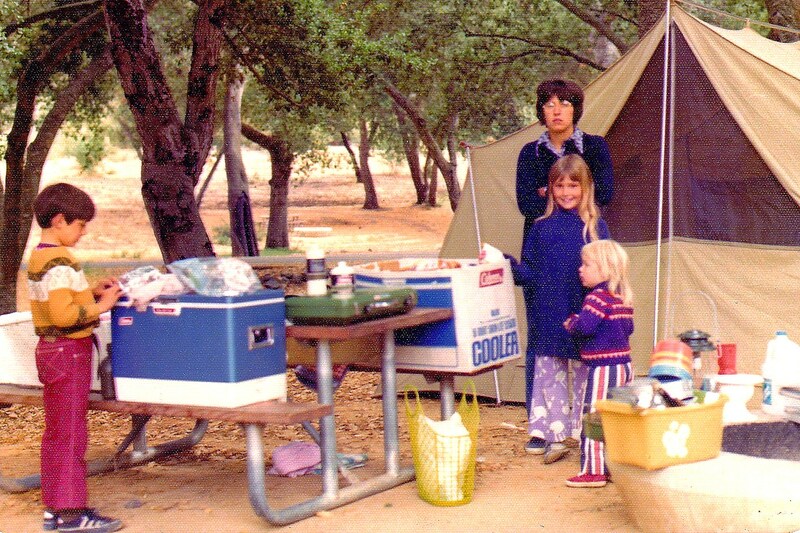 Kit and I made lots of memories back then with Kim, Joe and Suzie on the many campouts with that old canvas tent, which by the way, is still in the family! One particular memory I have is taking the two older kids fishing on Lake Cuyamaca in a rented row boat. After explaining the complexities and art of fishing for skittish pan-fish and not getting any nibbles, Kim decided to try her own technique by bouncing the fishing rod on the gunnel of the aluminum boat while chanting, fish, fish, fish, fish, in a melodic tone. As I was explaining the importance of being absolutely quiet and still…..Kim caught the first fish of the day!?!? And, using her new technique caught another, then another. Soon we were all copying her innovative fish attracting technique and catching fish…..much to the annoyance of surrounding anglers! As we continued south on CA-79 and winding our way through the Laguna Mountains we encountered I-8 as it was nearing dusk. 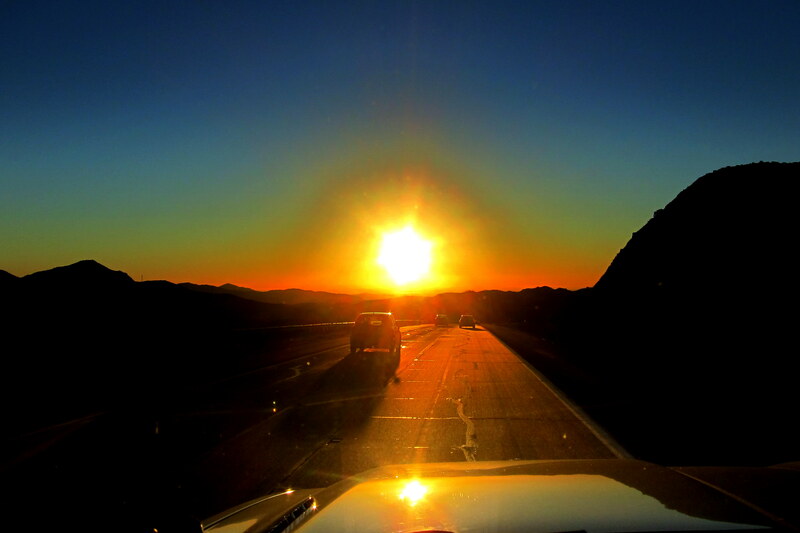 I then turned the truck west heading into the congestion of the big city as the sun set through our windshield. A great day in the beautiful backcountry of San Diego County! 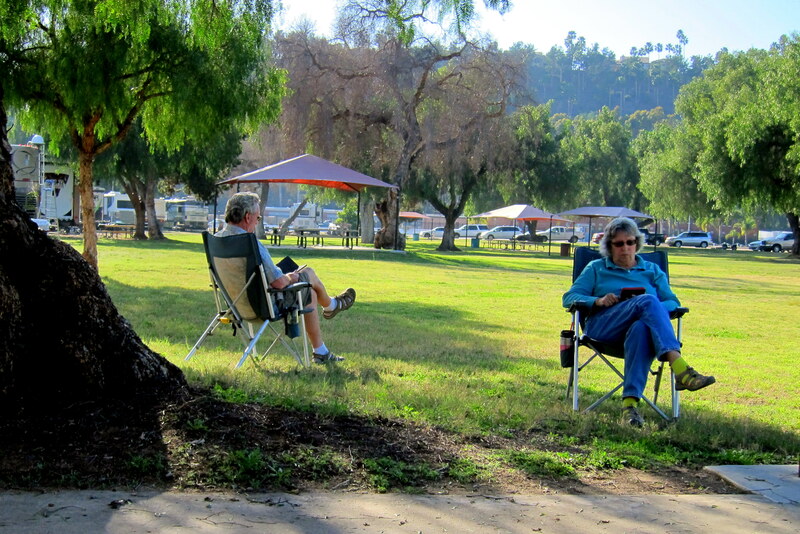 Tuesday, February 9, 2016: Up; enjoyed breakfast and prepared to leave Santee Lakes Campground under sunny skies and temperatures in the upper 70’s. On the road at 1145, we motored down Mission Gorge Road toward the next destination of our trip. At 1215 hours we pulled into Admiral Baker Navy Recreation Facility in the Mission Valley section of San Diego…..yep, a mere 30 minutes travel time to make the 12 mile trip! Kit and I have decided to spend more time this year in our childhood hometown, but being unapologetic nomads, we still need to move every week or so. We were able to score a full hook-up site at the park, mainly due to the fact that most rigs wouldn’t fit in the spot so had to go into overflow until a larger site was vacated. Usually it pays to have a shorter RV with slide-outs on only one side, as in this case! Wednesday, February 10 through Monday, February 15, 2016-San Diego, California: We decided to relax a bit and play tourist in our ancestral hometown during our stay at Admiral Baker Recreation Facility. So, on one of the days Kit wanted some quiet time to read and knit and I struck out alone toward fulfilling an item on my personal bucket list. Yep, a Navy ship…..but not just any vessel, this is the famed USS Midway, battle tested in many of our nations conflicts. Built for service in World War II, but commissioned a week after the formal surrender of Japan and the end of hostilities. 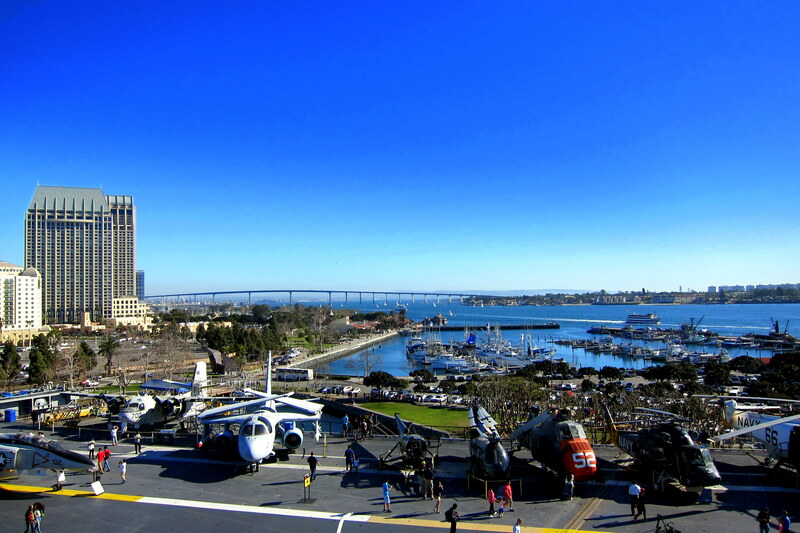 At that time, the USS Midway was the largest ship afloat in the world, a distinction it held for over ten years. She served our country honorably for 47 years before being retired and she continues serving the nation today as a testament to the folks that define The Greatest Generation!! I have toured a number of museum ships over the years, even being honored to join my grandsons scout troop on an overnight stay aboard the USS Massachusetts, a battleship of the same vintage. 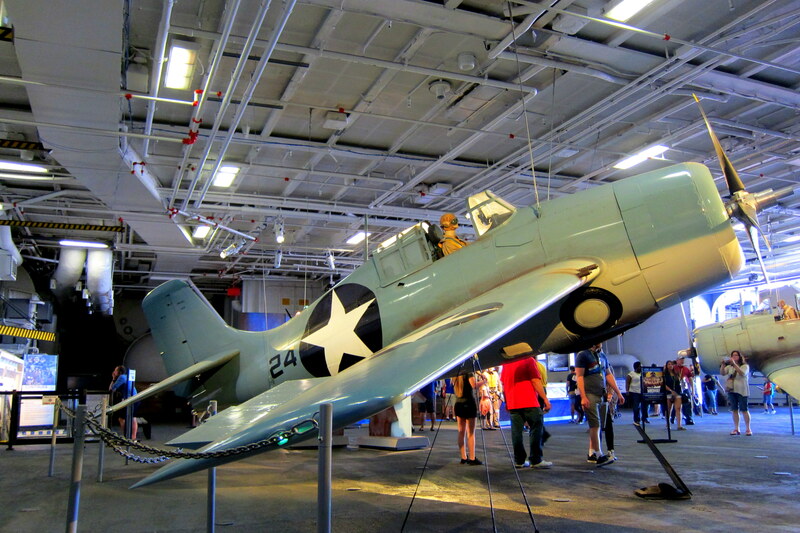 All the museum ships I have toured have been authentically maintained or restored and feature great exhibits and interpretive displays…..however, the Midway Museum was by far the best I’ve experienced. The attention to detail and authenticity coupled with the many volunteer docents that man the ship today create an incredible experience for the visitor! There are the normal collection of vintage aircraft of course, some of which were never embarked on the Midway, such as this F-4F Wildcat. 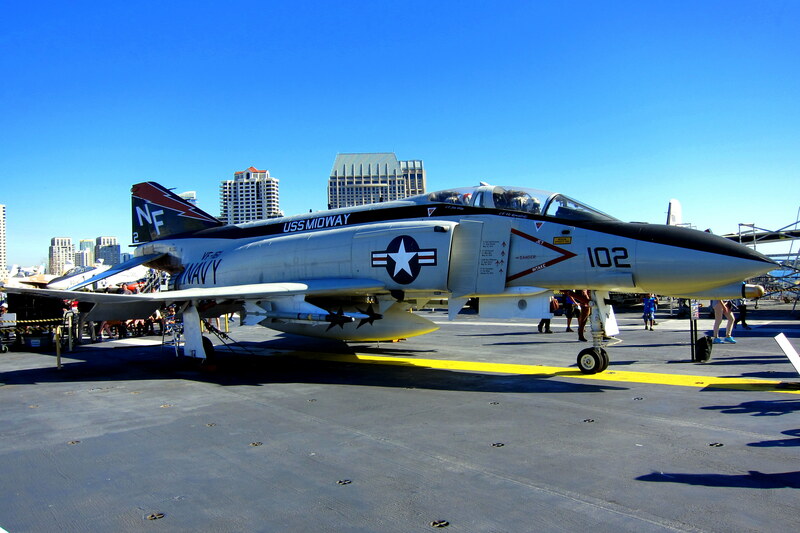 But also aircraft that were synonymous with the Midway’s career like the venerable F-4 Phantom. And, the US Marine aviators were ably represented in this nicely restored Corsair. An interesting historical factoid about the Corsair relates to the radical design of the inverted gull-wing. Less an aeronautical decision and more of a practical design consideration, the aircraft with its powerful engine and correspondingly large four blade propeller would have required overly long, and weak, landing gear…..so the engineers simply designed a dip in the wings thereby shortening the length of the landing struts! 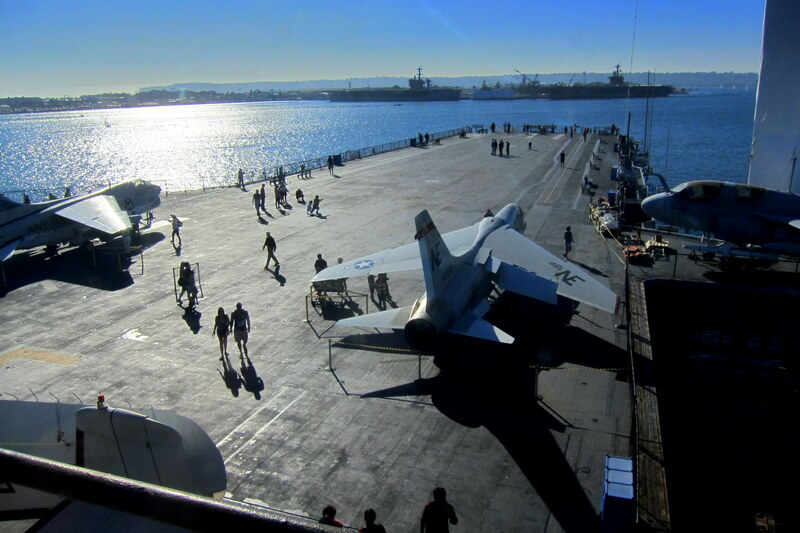 There were rotary wing aircraft on display as well, as shown on the carrier’s flight deck in this view of San Diego Bay from the pilot house. The self-guided tour of this relatively small airport atop a floating city was enhanced by an audio device with headphones that was programmed to key off the area you may be exploring at the time. In addition to explanations and descriptions of what you were observing, there were additional recordings that one could select featuring stories told by past crew members about fighting and living aboard the Midway…..all very interesting and informative! Yep, as you may be able to see, I found my way to the Chiefs Quarters where I lounged about a bit. Within a few minutes, three active duty Chief’s from the Navy Electronic Laboratory over on Point Loma walked in and joined me. 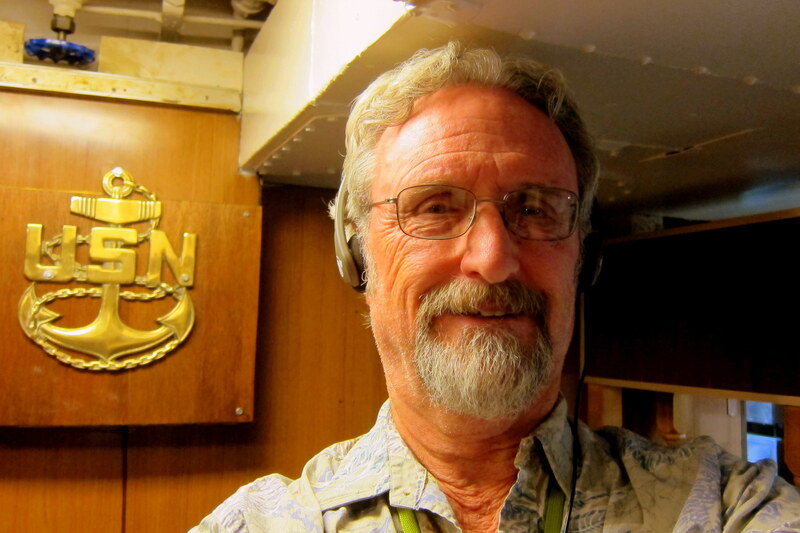 We had a great time talking ship and sharing sea stories…..unfortunately I forgot to snap a photo…..drat! 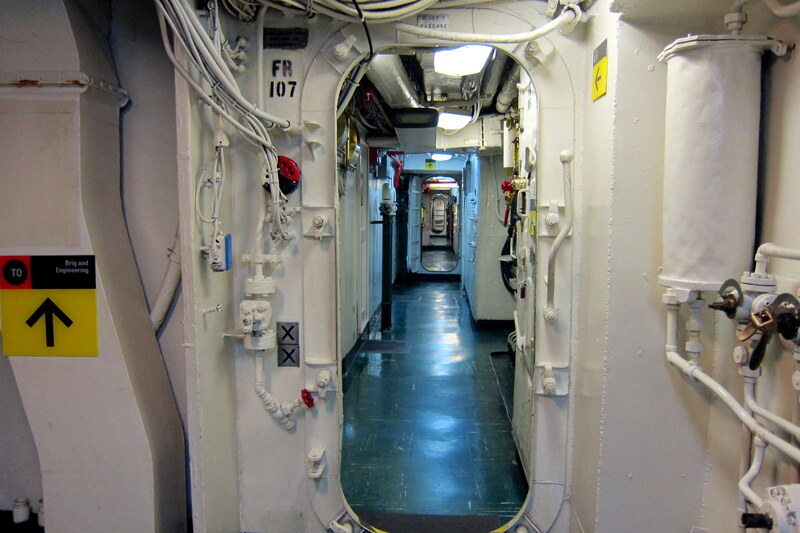 As I wandered from stem to stern below decks, the feel and smell of being aboard a Navy warship was very familiar. I guess spending 43 years on and around Navy vessels has left an indelible mark on me. And yes, the basic ship design has changed very little in that time. However habitability has improved greatly and the technology stuffed into a modern man-of-war is phenomenal! I spent the entire day exploring the Midway and talking to the docents that were volunteering that day, many of whom either operated aircraft from the flight deck or performed the myriad jobs throughout this large vessel and kept everything functioning and the ship at sea. What a great day! Returning to the campground, I found Kit lounging outside in the warmth of the afternoon and quickly joined her. Even though our site at Admiral Baker Campground wasn’t the best, we had direct access to a very large lawn area directly behind our rig. With the setting sun, we periodically did have to move our chairs about to keep in the shade however. The hill surrounding the campground allowed some incredible views earned by walking up a pretty steep trail. Most folks believe that San Diego, being a coastal community, is flat…..but that couldn’t be further from reality. The San Diego beach area is fairly flat, however immediately to the east there lies high mesa’s that stretch inland a dozen miles or so, broken up only by canyons and river valleys. A truly picturesque and verdant landscape. 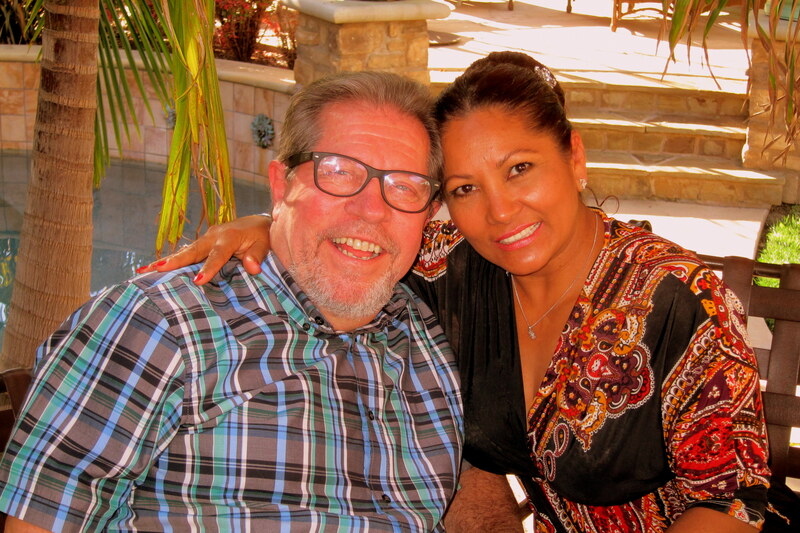 A special and thoughtful invitation came to us one day while in town…..Kit’s brother Sam and his wife Anne wanted to host a family barbeque at their home in Rancho Bernardo, a short drive to the north. So we all gathered on a warm winter afternoon at their lovely home. Their daughter Chelsea, a delightful young lady, held court at the patio table and entertained herself while flashing that brilliant smile to all. Brother John and his companion Lou came up from the South County. 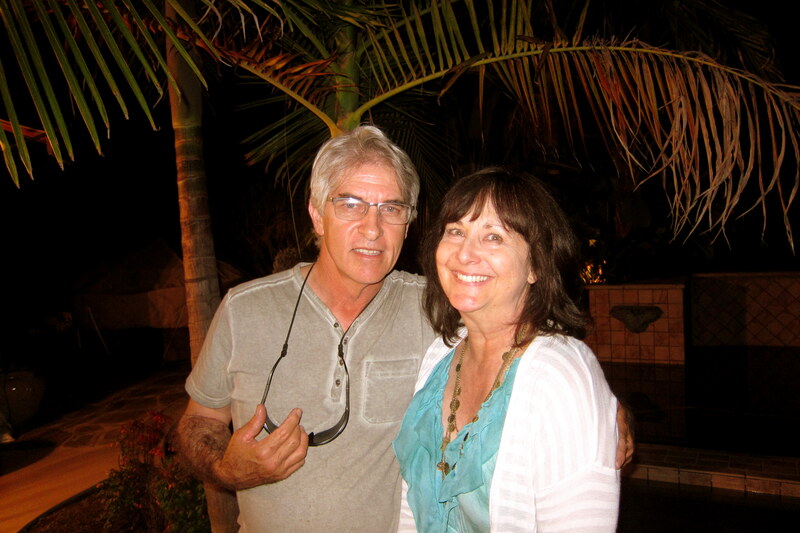 And Kit’s favorite sister, Char along with her recently retired husband, Don were in attendance as well. Folks from back east ask why we consistently violate Maine State Law and avoid Florida during snowbird season. Well a major reason lies in spending time with family in Las Vegas, Tucson, and San Diego. Kit seems to get energized by being around her family as do I and, we both enjoy our visits with them very much. However, there is that “Kit vs John” thing that has been going on since childhood, but that story remains for another time. Kit and I had an enjoyable afternoon of great food, fine spirits and visiting with some great folks…..thanks Sam and Anne. Well, this brings week one of our stay in Mission Valley section of San Diego…..where will week two find our meandering couple? Stay tuned! 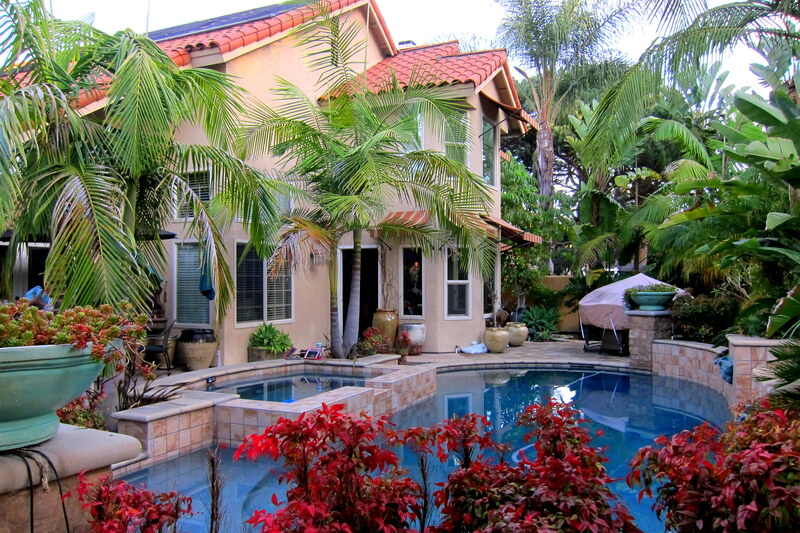 Kit’s Bit’s: We have thoroughly enjoyed our first couple of weeks in the San Diego area. 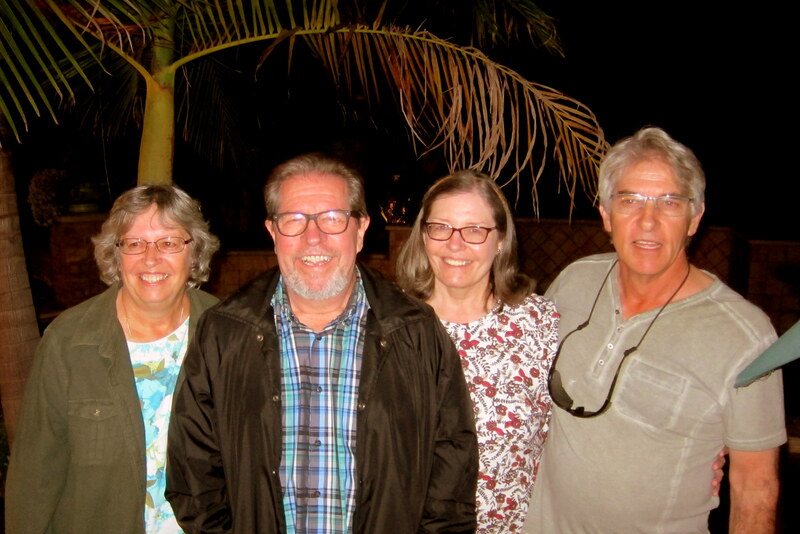 Love getting together with my family; Sam & Anne are such gracious hosts and we love spending time with them. 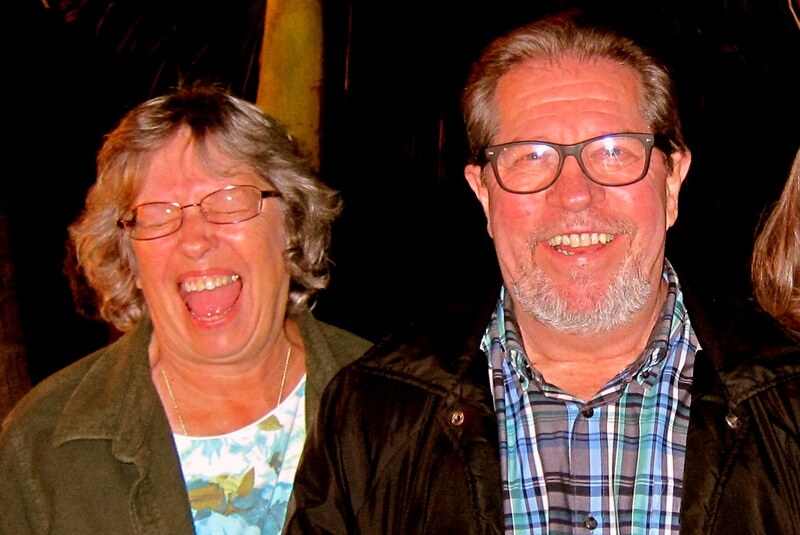 We love spending time with JoAnne and Ron, as well. Since we have a 50 year gap to catch up on, we NEVER run out of things to talk about! Much of our early adult lives are similar, married young, had kids, military moves, etc. With spending time reminiscing about our days as “kids” to our lives today, we are enjoying getting to know each other again and we hope, helping to support her with her current health issues. She is a remarkable woman, so courageous and positive! 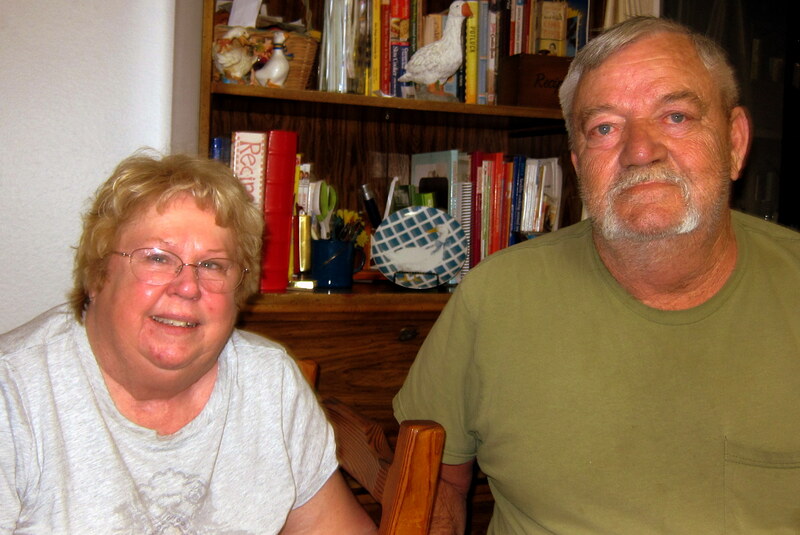 Of course, much of it is due to the help of Ron, her constant companion, who helps whenever and however he can. What a beautiful marriage they have and a stellar example to all of us! Love you guys! 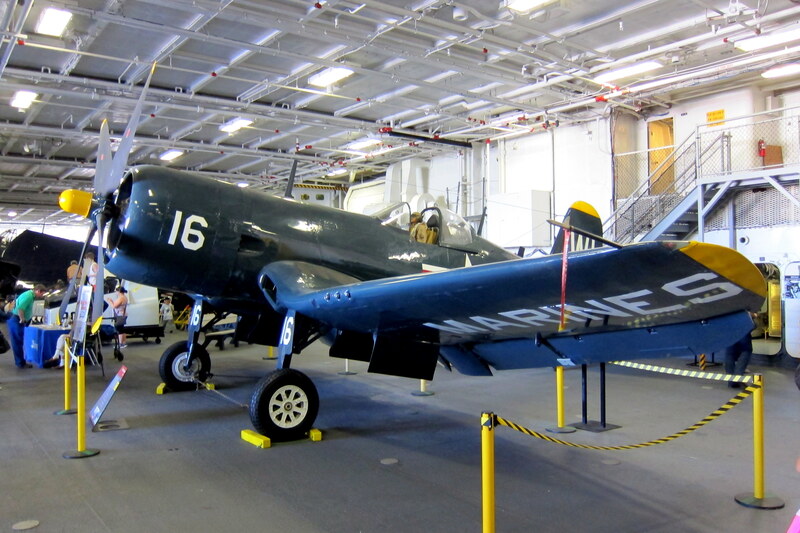 I served on the Midway in ’61/62 during a Westpac cruise w/VCP63, a photo squadron flying the F8U aircraft. Small world. Hey Winston, great to hear from you! 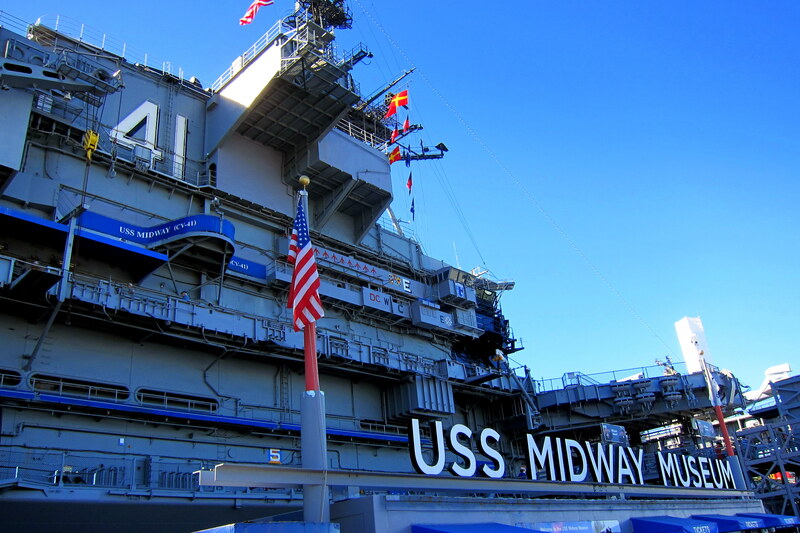 You should make a stop in San Diego and check out the Midway…..bet it’ll bring back a lot of memories! I believe as a former crew member you deserve a free lifetime pass on board!! Hope you and Nancy are having fun in Hawaii!!! Where to begin! 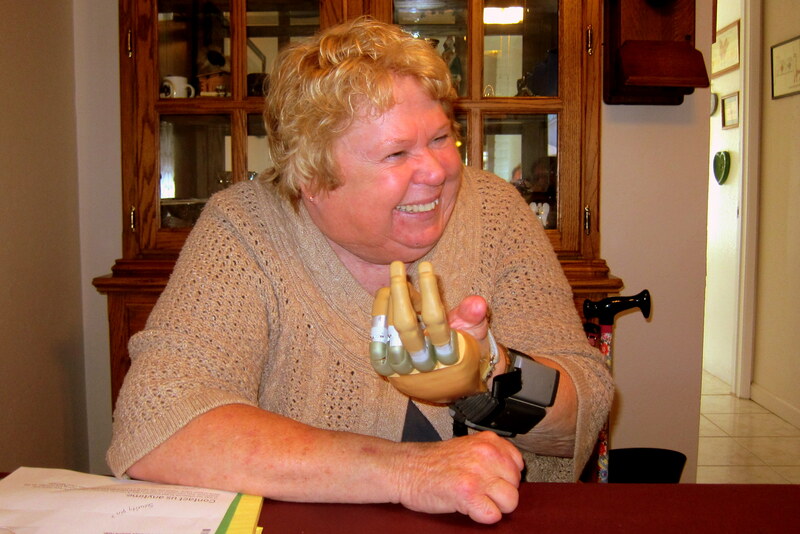 JoAnne’s “bionic hand) ….. I marvel at all the medical advances in our lifetime that have improved the quality of our lives and allowed our lives to be extended! The beautiful scenery from mountains to sea and all in between. The Goodwill, etc. finds …. 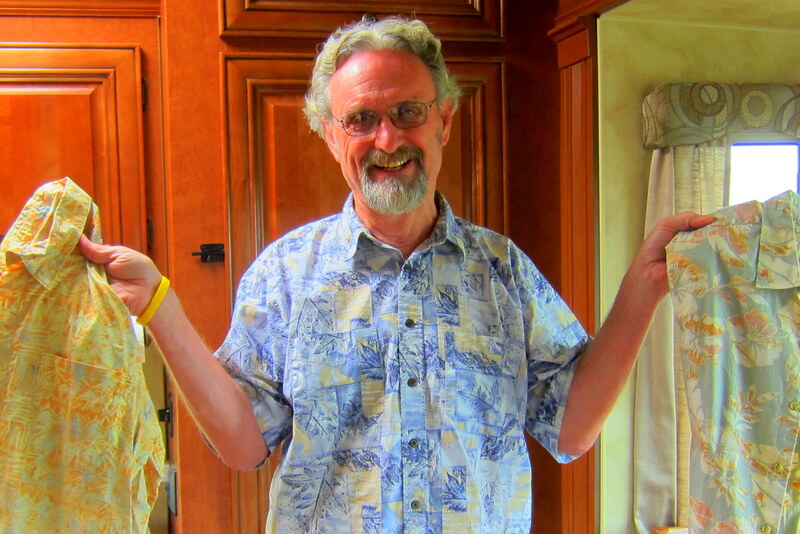 Bill, I love the shirts, especially the one on your body! The family time with Kit’s siblings at. al. So special! The camping in the 60’s. The pics and info about USS MIDWAY. You are really making the most of your retirement! Keep it up! Rob and Elise arrive a week from today! 😄😍💕! Hi folks, great to hear from you and thanks for the nice comments left on the website. Please tell Rob and Elise we said hi and hope they enjoy a nice time in the Florida sunshine! That is so great you guys spent so much time on San Diego with old friends and family. What an inspiration JoAnne is….and it’s good she uses that 3rd finger on the biopic hand for what it is intended!! Beautiful pics of San Diego. What a great place to have lived! I’ve been there once and visited Balboa Park…loved it! 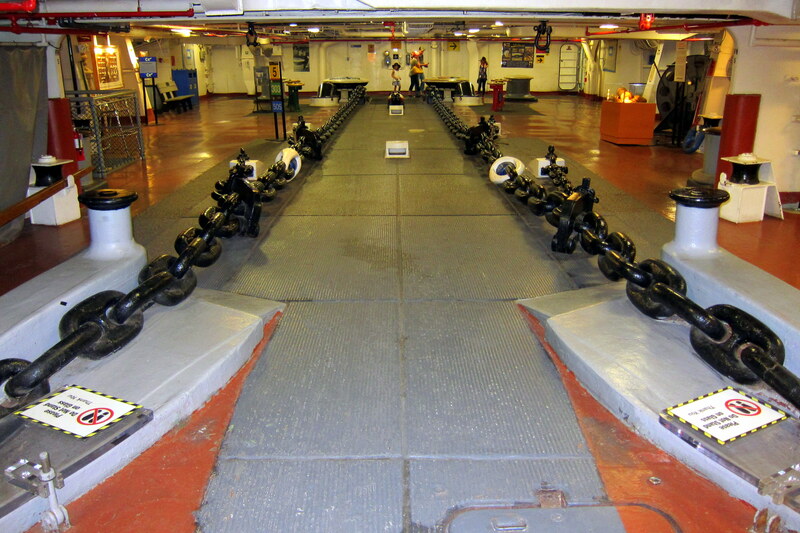 I remember reading about the USS Midway…what a historic ship. I can see why you spent the whole day there. If that ship could talk! ….Sam’s house is absolutely stunning!!!! Looks like it belongs in a movie or magazine!!! Hi Nancy, great to hear from you as always, and thanks for the nice comments concerning the journal. Hope you have a great time in OOB! THAT GOODWILL TOUR SOUNDS ALOT LIKE SOME OF JEANNE AND MY SHOPPING ADVENTURES. WE LOVE PICKING UP A PAIR OF HUNTING PANTS AND SHIRT FOR YOUNG CODY. I FOUND TWO NEW UNDER ARMOR HUNTING PIECES TUESDAY IN BRUNSWICK, THEY ARE SO EXPENSIVE IN BEANS OR CABELAS SO I PASS. THESE WERE ABOUT A THIRD OF THE PRICE AND THEY WERE NEW WITH TAGS STILL ON THEM. GREAT WEATHER, 60S YESTERDAY AND 50S TODAY WITH HEAVY RAIN. HUNDREDS OF DUCKS AND GEESE ARRIVED THIS WEEK. STAY SAFE AND KEEP THE ADVENTURES COMING. Hey folks, great to hear from you…..understand that winter up north is not quite over, please stay safe! Always so nice to hear of your wonderful travels… I was in CA/CO/NM myself on an extended vacation visiting friends Jan 12-Feb 22, and imagined to myself that I was whizzing by you on my car trips between the three! PS: Am put to shame not having my Vespa out yet, as the weather has certainly allowed it! Hi Serena, great to hear form you! We think of you often as well, please contact us if your up our way this summer…..would love to host you out at camp! 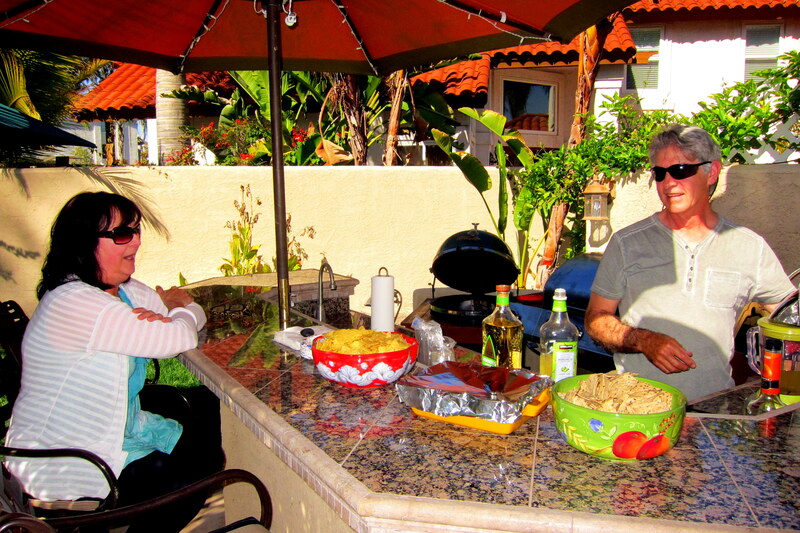 Now that we are no longer living in El Cajon we are enjoying your thoughts and blog about San Diego. I remember Admiral Bakers Field well. Went swimming and BBQ-ing there a lot as kid. 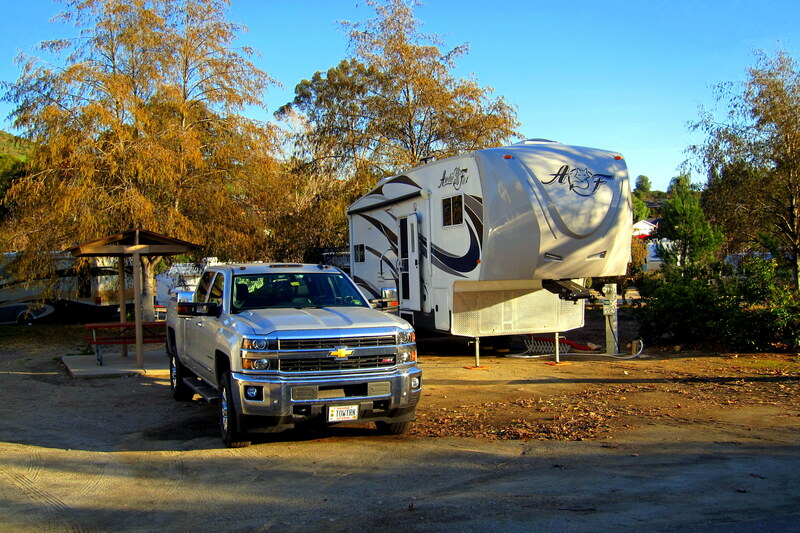 After Linda and I bought our trailer we stayed at Santee Lakes several times. Nice place to go even though we were 15 minutes from the house and 5 minutes from my work. Sounds like you are having another great trip. Stay safe. Alan, thanks for the comment as well as your recollections of Admiral Baker Field. Don and I spent many hours there as well, swimming and diving off the “high board”!